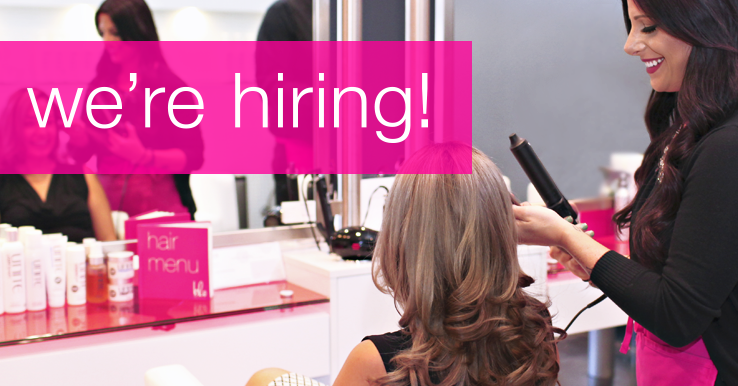 We’re growing fast and we’re looking for fun-loving hair and beauty experts with a passion for the blow-dry biz. Sound like you? Apply online to join the Blo Family! To get started: All bloers must be a licensed stylist and complete our Blo U(niversity), an intensive styling certificate program where you learn how to master our seven signature styles. Compensation: Hourly wage + tips + commission on retail sales. Wage increases offered by performance. Perks: We offer career growth into leadership roles, including management, educator and corporate opportunities. You’ll also receive merchandise and vendor discounts and you’ll be gaining credentials and valuable experience as part of a growing international brand! At Blo pink isn’t just a color, it’s an attitude. We’re North America’s original blow dry bar. That’s right, we’re the category leaders in the blow dry bar biz. When you work with us, you’ll be bringing joy to women through blow-dry hustle! Blo culture is all about working hard, having fun and showcasing your talents! If you’re interested, apply online for the location of your choice. Welcome to the Blo Family!